"A Straight Up War On Women!" My Review of the New ABC Sitcom "American Housewife"
During my trip to LA last month, I was lucky enough to visit the set of the brand new ABC Sitcom, American Housewife. 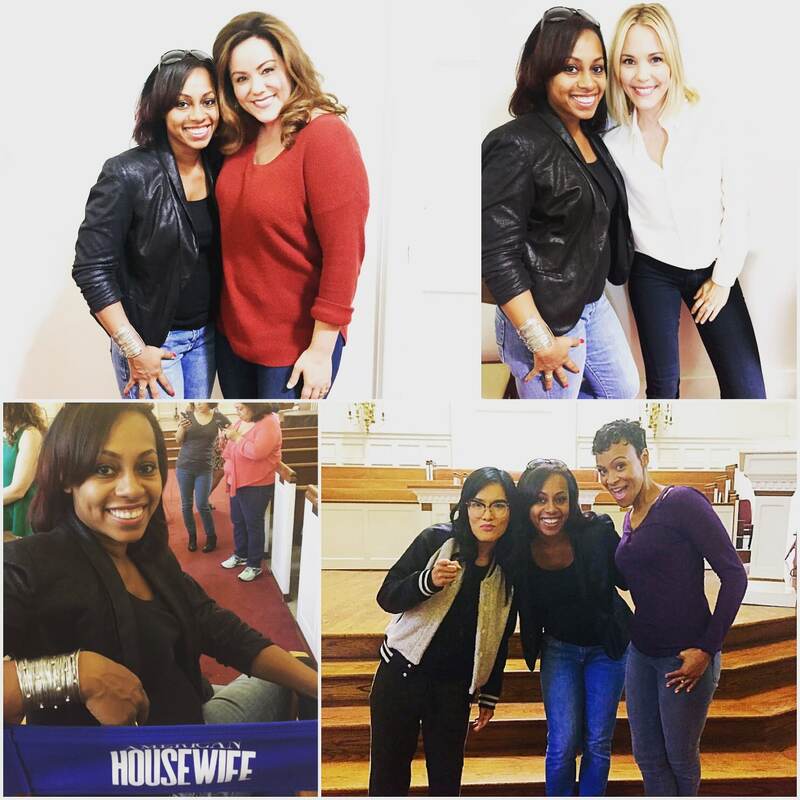 I got to meet the hilarious cast, as well as the Creator and Executive Producer Sarah Dunn, who shared with us her vision of the sitcom and what viewers could expect throughout the season. American Housewife can best be described as a warm, relatable comedy that speaks to middle American moms and families everywhere trying to find that glimpse of humor amidst the everyday chaos that is our lives. As I expected, “American Housewife” premiered last week, causing a bit of a stir among flawed moms and imperfectly perfect families everywhere. 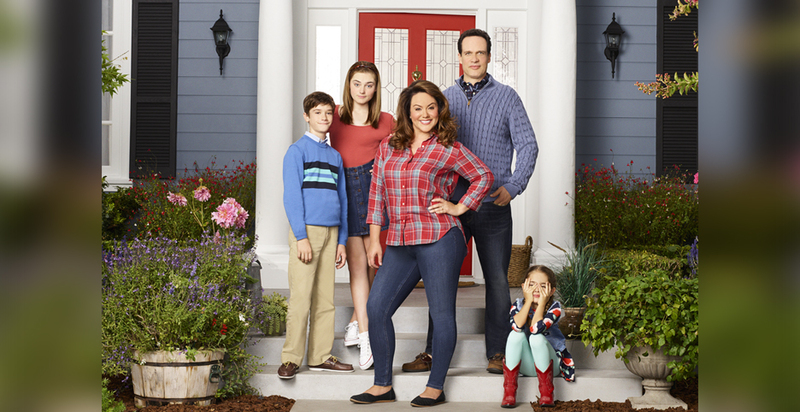 In case you missed it, American Housewife shares the very real experiences of stay-at-home mom of 3, Katie Otto (played by Katie Mixon) struggling to raise her flawed family in the wealthy and “perfect” town of Westport, CT; a town filled with “perfect” mommies and their “perfect” offspring. Katie and her husband, Greg (played by Diedrich Bader, “The Drew Carey Show”) rent a home in this picture perfect town in order to send their kids, particularly their daughter Anna-Kate to a better school. As Katie finds herself caught up in helping Anna-Kat fit in more, she finds herself having to fight to get her older kids, Taylor and Oliver, fit in a little less. The pilot episode that aired last week, we see this otherwise confident and unapologetic mom face some of her own insecurities about her place in their new town. Her perfectly imperfect world is upended when her neighbor’s decision to move notches her up from her ideal social standing and sets her on a path to ensure that doesn’t happen, regardless of the consequences. Popular belief, based on this episode, was that it was a show primarily focused on body image, given the story-line of the neighbor’s departure would ultimately leave Katy Mixon’s character to be “the second fattest woman in town.” However, I would argue that body image is just a small part of what American Housewife represents. While certainly hilarious and relevant in many communities, you’ll find that episode 2 begins to introduce the heart and spirit of the American Housewife series. Episode 2 brilliantly addresses the many very real challenges moms deal with, really whether you are a stay at home mom or working mom. In tonight’s episode, all Katie wants is a good, long nap after the kids keep her up all night. However, as is often the case, a series of distractions come up throughout the day and that plan quickly becomes sidetracked. On top of that, her husband Greg gets what she hilariously called “man-sick” and she doesn’t get a minute to herself. All in all, I believe this comedy has tremendous potential and as the season progresses, I look forward to even more relatable and heartfelt story-lines. From the glimpse I’ve gotten into some upcoming episodes, I’m sure viewers will be satisfied! Have you seen ABC’s American Housewife? Share your thoughts below! and Ali Wong as Doris. I love this show! I didn’t think anyone else was watching. The last episode hit home for me when she was thinking about going back to work after a bad day…week. And no nap!